There are few monuments that are more distinctly French or more woven into the history of France than Notre Dame Cathedral. Interested in Notre Dame Fire? Add Notre Dame Fire as an interest to stay up to date on the latest Notre Dame Fire news, video, and analysis from ABC News. As images of the fire ravaging through the historic church sparked outcries around the globe, people from all walks of life are mourning. “Notre Dame Cathedral is the very soul of Paris but so much more -- it is a touchstone for all that is the best about the world, and a monument to the highest aspirations of artistic achievement that transcends religion and time,” The Metropolitan Museum of Art said in a statement. “It has survived so much -- from the French Revolution to Nazi occupation—to watch its devastation is excruciating,” the statement continued. 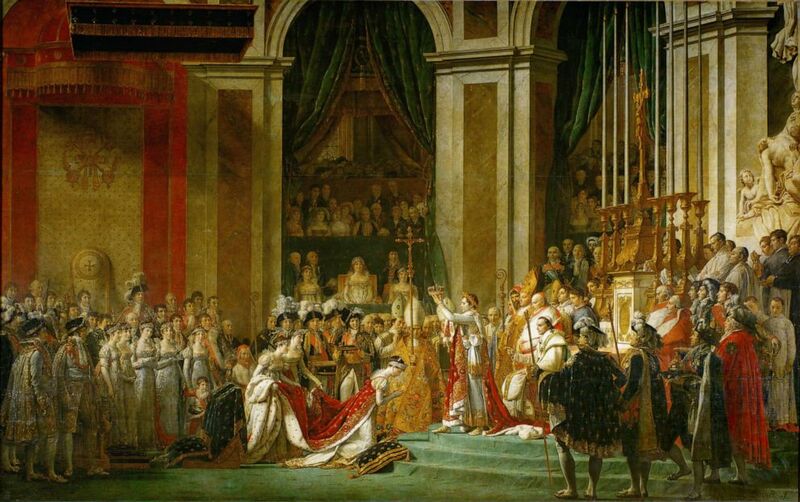 A painting by Jacques Louis David, 1748-1825, depicts the coronation of Napoleon as the Emperor of the French in Notre Dame Cathedral in Paris on Dec. 2, 1804. Edward Berenson, a history professor who specializes in French history at New York University, said Notre Dame is "one of the most sacred places, maybe the most sacred place, not only in France but in all of Catholicism. There aren’t that many places that are that old and that connected to the history of the church." He went on, “Notre Dame has evolved into a place where every French person can feel belongs to them, whether they're religious or not, and I think that’s the really key point: it has national meaning. It’s one of the things that’s associated with France even more so than the Eiffel Tower just because it’s so much older than the Eiffel Tower." 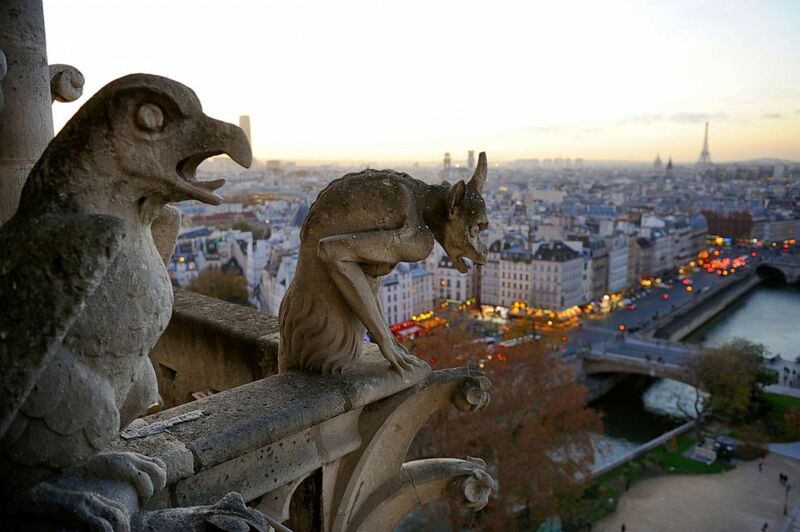 Gargoyles perch on the Notre Dame Cathedral overlooking the Seine in Paris, Dec. 20, 2015. Beyond its religious significance, Notre Dame was the site of many French coronations. Notre Dame was built over the course of a century, starting in 1160 and ending in 1260, centuries before any country in North America, South America, or Africa was formally founded. The Eiffel Tower was completed in 1889. “Even before Roman times, [that’s] where the first settlements were,” he said of Ile de la Cite. The cathedral is 130 meters long, which is a little longer than a football field, and 48 meters wide. One of the most distinctive aspects of the cathedral is its height, coming in at 35 meters high, according to the cathedral’s website. “Architecturally, it was significant at the time it was built because it was built in the Gothic tradition,” said Krupali Krusche, the associate dean of the school of architecture at the University of Notre Dame in Indiana, who pointed to the lightness of the walls and the flying buttress support system as two key factors in that style. 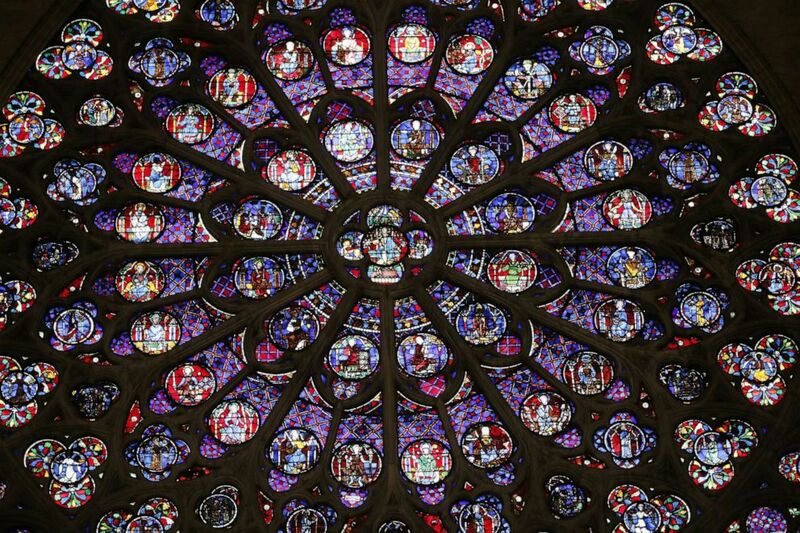 A view of the middle-age stained glass rosace on the southern side of the Notre-Dame de Paris cathedral, Nov. 29, 2012, in Paris. “You would have to think that they would be unbelievably vulnerable to high heat,” Berenson said. Krusche noted that beyond their beauty, the rose windows “are some of the largest rose windows that you will see around the world” and were unique at the time of their creation. “Gothic architecture allowed the buildings to be lighter and to go higher, reaching out to the heavens, and then the light allowed it to be having a sense of being able to connect to new knowledge,” Krusche said.